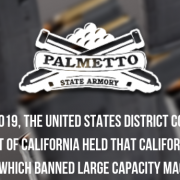 Another regular at Big 3 East is Palmetto State Armory. This year they brought out their 9mm AK-V. I was intrigued by the 9mm AK ever since it was announced last year. However there were some issues right out the gate. Military Arms Channel and PewPewTactical had issues with the ones they received. 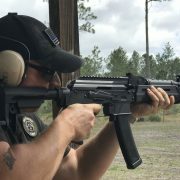 To be […] Read More … The post [Big 3 East] PSA AK-V: A 9mm AK That Works appeared first on The Firearm Blog.